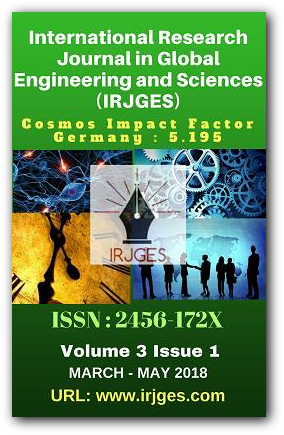 International Research Journal in Global Engineering and Sciences (IRJGES) is an open-access journal publishing full-length of research papers and review-(survey) articles covering all subject that fall under the wide variety of Engineering and , Science. The journal is devoted towards broadcasting of knowledge related to the Engineering, Science and Management and contemporary research ideas in the scientific world. IRJGES is an Open-Access, peer reviewed International Journal We have an erdudite academic journal reviewer's team from various universities, colleges private or government sector, and Highly reputed company. It covers the complete range of quality & effective research papers. You can download any article from the website for free of cost Simple steps for publication of research articles and review articles IRJGES is Open access journal for high indexing and promotion of your published papers. For any query email us on : info@irjges.com IRJGES is published as a quarterly journal with four issues per year. International Journal of Current Research is loyal to open access for academic work. All the original articles and review papers published in this journal are free to access immediately from the date of publication. We do not charge any fees for any reader to download articles and reviews for their own scholarly use. The International Journal of Current Research also operates under the Creative Commons Licence CC-BY-NC-ND. This allows for the reproduction of articles, free of charge, for non-commercial use only and with the appropriate citation information. All authors publishing with the IRJGES accept these as the terms of publication. IRJGES accepts the electronic forms research articles, short communication works and it is a peer reviewed journal is one in which each feature article has been examined by people with credentials in the article's field of study before it is published. Collections of papers from conferences may be considered peer reviewed as well, if the original presentations were "invited" or examined by experts before being accepted. Papers which appear in sources like these are considered to be as reliable as humanly possible. In "double blind" peer review, neither the author nor the reviewers know each others' identities. Not all peer review is double blind. As well, the literature of any profession may include journals written both for practitioners and for theorists. After initial evaluation, the manuscripts are sent to referees which are determined editor and/or editorial board. If necessary, the number of referees can be increased by editor or Editorial Board. The referees are chosen from referee board according to their expertise. 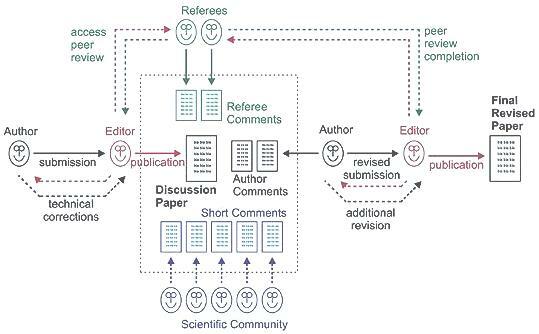 Referees are asked to evaluate the manuscript's originality, methodology, contribution to the literature, presentation of results and support for the conclusions, and appropriate referencing of previous relevant studies. Referees might accept the manuscript, reject the manuscript or might require a revision for style and/or content. International Research Journal in Global Engineering and Sciences (IRJGES) regards plagiarism as a very serious offence. It is an illegal form of copying. I have read and understood the IRJGES rules on plagiarism. I hereby declare that this piece of written work is the result of my own independent scholarly work, and that in all cases material from the work of others (in books, articles, essays, dissertations, and on the internet) is acknowledged, and quotations and paraphrases are clearly indicated. No material other than that listed has been used. This written work has not previously or not yet been published.